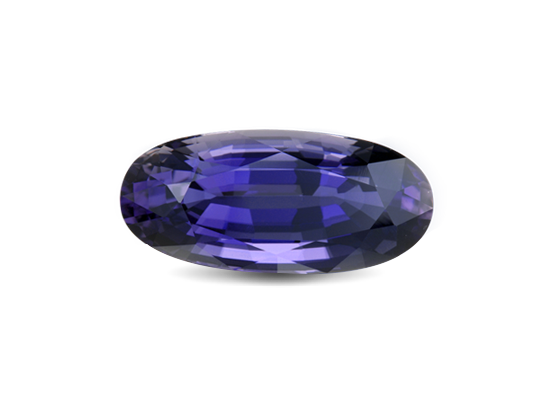 Iolite’s most valuable color is a beautiful, saturated violet to blue. 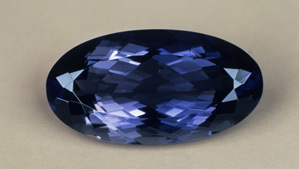 Unless inclusions cause phenomena such as aventurescence or chatoyancy, their presence makes iolite less valuable. 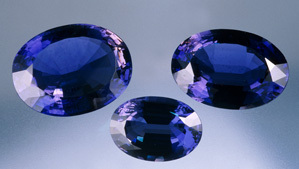 Vivid violet to blue are iolite’s best and most valued colors. It is highly pleochroic, so a cutter must orient the cut of the stone carefully so the best color shows through the gem’s table. 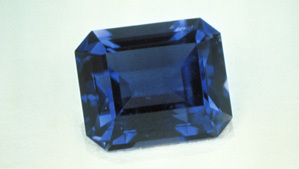 Commercial-quality iolite often has a grayish color component. Generally, eye-clean iolite is most valuable, but the presence of certain types of inclusions in the proper orientation can result in cat’s-eye or aventurescent gems. Phenomenal iolite is rare and coveted by collectors. Iolite is strongly pleochroic and has one direction of perfect cleavage. These properties can pose challenges during the fashioning process. A skilled cutter can bring out all the beauty iolite has to offer. Fashioned iolites that weigh from 1 to 10 carats can be found on the market. However, fine faceted iolites over 5 carats are somewhat rare. 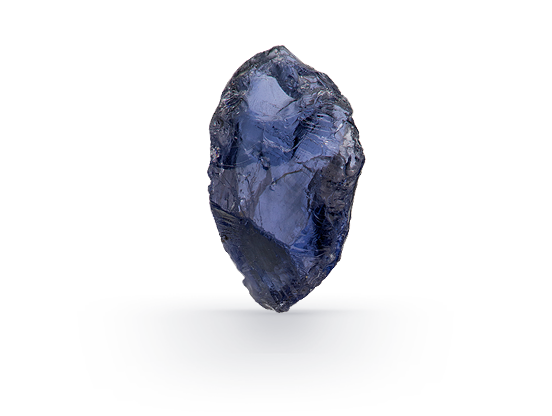 Iolite is found all over the globe, but it’s not as widely recognized as tanzanite. Some experts believe that jewelry designers and retailers don’t see a consistent enough supply of fine-quality iolite to feel confident about ordering a large selection for use in jewelry lines. Iolite is less durable than gems like diamond or sapphire. Because it is vulnerable to sharp blows, wearing an iolite ring isn’t recommended during sports activities or at the gym. However, with proper care and attention, many people wear iolite rings for years without any issues. Keep your iolite jewelry beautiful by following simple care and cleaning guidelines. Because of its cleavage, extreme pressure or sharp temperature changes might cause iolite to break. Warm, soapy water is always safe for cleaning iolite. Iolite is not typically treated, so coatings, dyes, and fillers are not a concern.